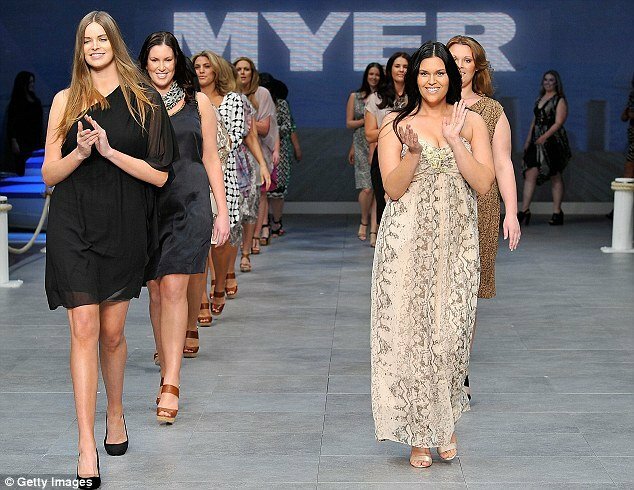 Sydney Fashion Festival 2011: Myer's Big is Beautiful controversial show. Home Fashion & Style Sydney Fashion Festival 2011: Myer’s Big is Beautiful controversial show. Sydney Fashion Festival 2011: Myer’s Big is Beautiful controversial show. San Francisco Fashion Week 2011: when beauty meets technology. Sydney Fashion Festival, known as Mercedes-Benz Sydney Fashion Festival (MBFF Sydney), is Sydney’s premier fashion and lifestyle event and is a schedule of fashion events showcasing the contemporary Spring Summer Collections of Australia’s leading designer brands and retailers as these collections land in store. Sydney’s Fashion Festival 2011 official schedule includes the collection shows and Festival Hub activities, which all take place at the Sydney Town Hall from August 23 to August 27. Robyn Lawley – the first ever plus-size model to feature in Vogue Australia – opened the Meyr’s show at Sydney Fashion Festival 2011 in a stunning black assymetric dress. But while some girls looked healthy modelling sizes 16 to 24, others appeared somewhat overweight. However, the journalist’s post received a series of comments from readers defending Myer’s move. “Is it ok to be overweight? No. But if you are big and big boned, people come in all shapes and sizes, it would be monstrously wrong to say the models are just overweight. If they are running a show which has big girls modelling for big girls, then that would be totally appropriate. Sending skinny girls down the runway does more damage than you might expect this show to be doing. Only 64 tickets have been sold for Myer’s show, out of the 500 available. “I don’t think the consumer is as obsessed with plus-size as the media is. Condoleezza Rice: Muammar Gaddafi's secret love?